Publishers Description: There’s going to be trouble. Andy Caplet’s wife goes away, someone is out to get him, and he loses nearly everything in a storm. 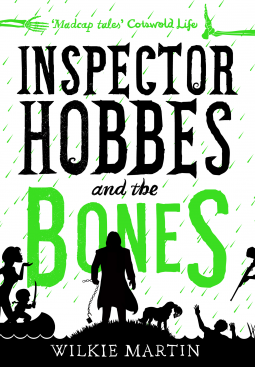 Amazing both himself and his unhuman friend Inspector Hobbes, he heroically rescues flood victims and uncovers something shocking. Review: Andy continues to stumble along in the footsteps of Hobbes while attempting to pull himself out of a smear campaign while maintaining a long distance relationship with his new wife. Wow, Wilkie Martin delivers another finely crafted tapestry of un-human mystery with a dash of incisive wit and provocative humor. Andy is a bit dense at times, almost too dense but seems to provide the comedic relief throughout the story line. The supporting characters are built solidly within the bounds of the movement which is elegantly constructed to provide a multitude of storyline threads. A fun ride that is hard to put down. Yes! Another great one for you… this even tingles my interest to be honest! I love this series. Lots of “un-human” fun.